XBS owes a lot of art time inspiration to this band. 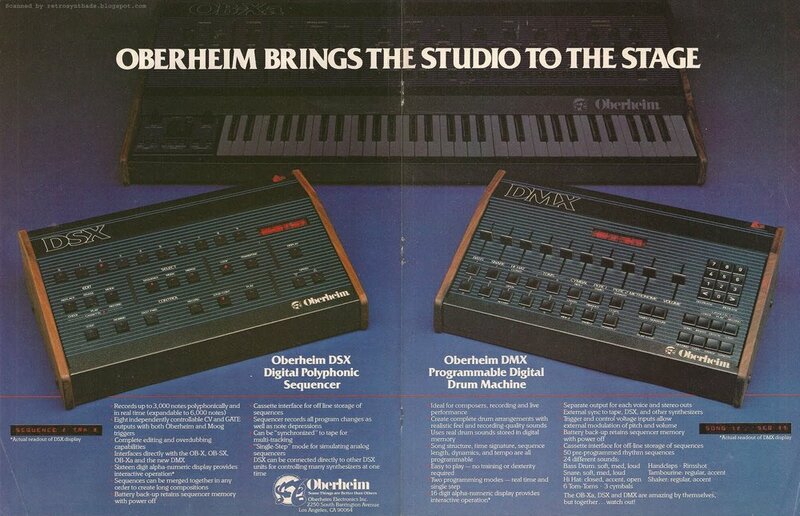 More than making some fun jams back in the day, they also inspired our love of Oberheim and the pre midi sequencing capabilities of 'The System'. 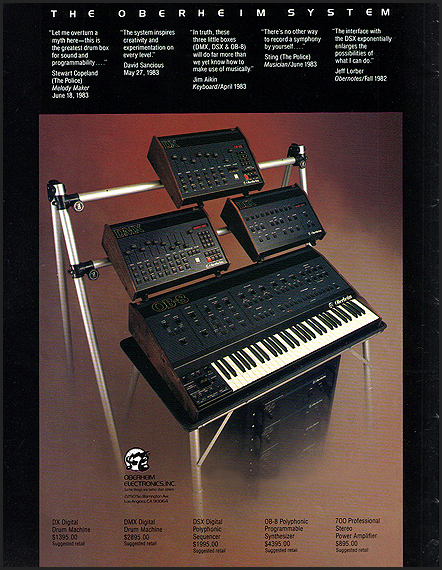 So, The DSX is the sequencer and it can control a DX or DMX drum machine and one Oberheim poly at the same time. It can do 10 tracks of polyphonic ( 16 voices ) to an OB X, Xa, SX, or 8 via 'computer interface' and 8 CV / Gates on the back panel for mono synths simultaneously ( US scaling and polarity ( invertible! )). It could record up to 6000 notes, record patch and controller type changes on a dedicated data track, and do real time transposition and track track muting! Our OB-8 has midi so the DSX can actually control anything in the studio! We upgraded the brains with some help from, you guessed it, Paul at Electron Gate! David Frank is a Special and Visionary dude. Thanks dude!